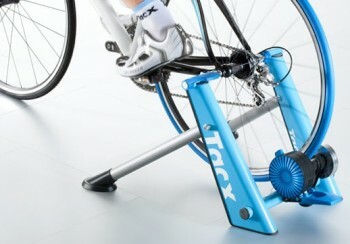 The Blue Twist is the lowest cost of the Tacx Blue range, of which there are also the Blue Matic and Blue Motion models. With a RRP of around £120, it offers excellent value for money. 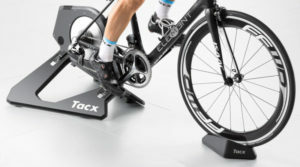 Tacx are a trusted brand who supply trainers to the top pro cycling teams, so you know you will get a solid build and a good performance, even at this low price. 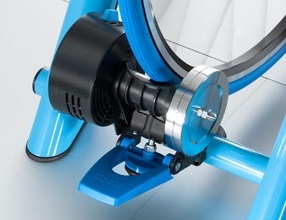 The Tacx Blue Twist turbo trainer has 7 levels of resistance, with a magnetic brake and 1KG flywheel providing a maximum resistance of 650 Watts. This is lower than both the Blue Matic and Blue Motion trainers, but depending on your intended use, is good for a solid workout or pre-race warm-up. 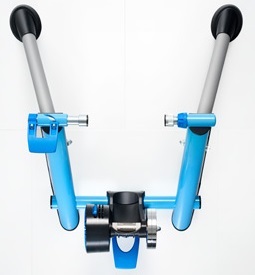 The resistance is not controlled via a handlebar mounted lever like the other two models in this range, and instead requires manual setting of the resistance level via the brake itself.